* questioning the FBI's anthrax investigation « CASE CLOSED … what really happened in the 2001 anthrax attacks? This case, a lawsuit brought by Steven Hatfill to protest the FBI’s designation of him as a “person of interest” in the investigation of the 2001 anthrax attack, resulted in a $5.8 million settlement paid by the government. A short while later, after Dr. Bruce Ivins had allegedly committed suicide and could no longer defend himself, the FBI announced that Dr. Ivins (and not Hatfill) was the sole perpetrator of the 2001 anthrax attacks. Some of us find the FBI’s case against Dr. Ivins to be weak and unsubstantiated; eighteen months after announcing that the Amerithrax case would soon be closed, the case is apparently still open. * Evidence that the FBI lied to obtain records it had no legal authority to have, and then covered up its illegal activities, does not build confidence that the FBI is telling the truth in its 2001 anthrax investigation. “CASE CLOSED is a must read for anyone who wondered what really happened? The Federal Bureau of Investigation used lies and trickery to illegally obtain thousands of records, then issued after-the-fact approvals in an attempt to cover it up, a Justice Department (Inspector General) investigation released on Wednesday revealed. One of the main problems surrounds the FBI’s unlawful misuse of the already-unconstitutional informal requests known as “exigent letters” to demand information. And they knew it was illegal. According to the DOJ report agents repeatedly and knowingly violated the law by invoking non-existent “terror emergencies” to get access to information they were not authorized to have. “We concluded that the FBI’s acquisition of these records constituted a complete breakdown in the required department procedures for approving the issuance of grand jury subpoenas to obtain reporters’ toll billing records,” said the Inspector General’s report. The FBI acknowledged in a statement released after the Inspector General’s report was made public that “the Bureau did not have in place adequate internal controls to ensure that the appropriate process was used and that appropriate records were kept,” though it insists that it has taken steps to purge illegally obtained records and to prevent similar occurrences in the future. FBI Director Robert S. Mueller III was unaware of the widespread use of the exigent letters until late 2006, when it was uncovered by the inspector general investigation, and he has since taken steps to correct the problem, according to the report and Mueller’s testimony Wednesday before the Senate Judiciary Committee. Mueller acknowledged that there were “substantial weaknesses, substantial management and performance failures in our internal control structure as it applied to obtaining telephone records.” But he added that better internal controls and changes in policy and training have substantially minimized the possibility of similar errors in the future. “We’ll look at the conduct and assign discipline as warranted,” Mueller said. More than eight years after the deadly 2001 anthrax attacks, the United States is still unprepared to respond to a majorbiological terror attack, a congressionally appointed commission said Tuesday. or providing adequate oversight over security and intelligence agencies. “Each of the last three administrations has been slow to recognize and respond to the biothreat,” said former senator Bob Graham (D-Fla.), who co-chaired the panel along with former senator Jim Talent (R-Mo.). and for the Obama administration’s reorganization of the National Security Council to better deal with threats related to weapons of mass destruction. Our apparent lack of preparedness for a biological attack makes it all the more important that the anthrax attack of 2001 be definitively solved. The FBI has clearly not told us enough for us to believe they have solved the case. Either they haven’t solved the case or they are hiding the truth. Which is worse? “Then a curious thing happens. A second attack is made against the great country, this time with lethal anthrax powder mailed in envelopes. Is it a coincidence that this occurs within days of the launching of a massive retaliatory attack on Osama? The answer to that question is currently outside the bounds of this fable, although if it was not a coincidence, our tale becomes much, much darker. “The very best police force in the land is assigned to track down the person or persons who prepared and mailed the lethal anthrax envelopes. But even before any evidence is obtained, the great leader announces the desired result – there may be some possible link to Saddam, he says; I wouldn’t put it past him. The great vice-leader also chimes in, saying that Saddam had henchmen who were trained in the use and deployment of these kinds of substances, so you start to piece it all together. The investigation of the 2001 anthrax attacks ended as far as the public knew on July 29, 2008, with the death of Bruce Ivins. Less than a week after his apparent suicide, the FBI declared Ivins to have been the sole perpetrator of the 2001 Anthrax attacks. The FBI’s six-year investigation was the largest inquest in its history, involving 9,000 interviews, 6,000 subpoenas, and the examination of tens of thousands of photocopiers, typewriters, computers and mailboxes. Yet it failed to find a shred of evidence that identified the anthrax killer—or even a witness to the mailings. Eventually, the FBI zeroed in on Ivins. The FBI turned the pressure up on him, isolating him at work and forcing him to spend what little money he had on lawyers to defend himself. He became increasingly stressed. Then came his suicide (which) provided an opportunity to close the case. But there was still a vexing problem—silicon. Silicon was used in the 1960s to weaponize anthrax. since weaponization was banned by international treaties, research anthrax no longer contains silicon, and the flask at Fort Detrick contained none. Yet the anthrax grown from it had silicon, according to the U.S. Armed Forces Institute of Pathology. This silicon explained why, when the letters to Sens. Leahy and Daschle were opened, the anthrax vaporized into an aerosol. If so, then somehow silicon was added to the anthrax. But Ivins, no matter how weird he may have been, had neither the set of skills nor the means to attach silicon to anthrax spores. At a minimum, such a process would require highly specialized equipment that did not exist in Ivins’s lab—or, for that matter, anywhere at the Fort Detrick facility. The FBI’s answer was that the anthrax contained only traces of silicon, and those, it theorized, could have been accidently absorbed by the spores from the water and nutrient in which they were grown. The answer came seven months later on April 17, 2009. According to the FBI lab, 1.4% of the powder in the Leahy letter was silicon. in an attempt to back up its theory, the FBI contracted scientists at the Lawrence Livermore National Labs in California to conduct experiments in which anthrax is accidently absorbed from a media heavily laced with silicon. When the results were revealed to the National Academy Of Science in September 2009, they effectively blew the FBI’s theory out of the water. The Livermore scientists had tried 56 times to replicate the high silicon content without any success. Even though they added increasingly high amounts of silicon to the media, they never even came close to the 1.4% in the attack anthrax. Most results were an order of magnitude lower, with some as low as .001%. “If there is that much silicon, it had to have been added,” Jeffrey Adamovicz, who supervised Ivins’s work at Fort Detrick, wrote to me last month. If Ivins had neither the equipment or skills to weaponize anthrax with silicon, then some other party with access to the anthrax must have done it. Readers of this CASE CLOSED blog have been aware of everything in Mr. Epstein’s article, and much more, for months. The FBI’s case has always been unfounded, and the FBI’s insistence that Dr. Ivins was the sole perpetrator does a disservice to our nation. It’s time for Director Mueller to fess up. Either the FBI doesn’t know who perpetrated the attacks, or they do know and they’re covering up the truth. “I’ve already spoken to Secretary Morgan,” General Drysdale continued. “The Secretary agrees that the Defense Department is taking an unwarranted hit from the FBI, and we don’t know why. At my request, the Secretary has authorized us to find out what really happened. “You’re the team I’ve selected. You’re authorized to go where you need to go, ask what you need to know. You’ll have whatever resources are necessary. thought it would be easier if I contacted you directly. With regard to the foaming issue. When I go back to the original suspension you sent in the 50 ml conical tube and vortex it the same foaming phenomenon occurs. So I do not believe it is a glassware problem or washing problem. If you will/could go back to one of your 10E10 stocks of the same spore prep. And also make a 10E9 dilution and vortex it to see if you get the same thing. As described before, it’s like whipped cream on top of the water and will not go back into suspension unless it sits for a day or more. When I enumerate the suspension under the whipped cream it is 0.5-1 log lower than what is expected (i.e. what should be 10E9 is 5 x 10E8 to 1 x 10E8). In the mean time do you have any ideas on a defoaming agent? More of Dr. Ivins’ June 2001 emails can be found below. * why have Dr. Ivins’ emails concerning his whereabouts when the anthrax letters were mailed in Princeton not been released? who is withholding this information? before challenge, I think you should first run it by the IPT for their comments. also make a 10E9 dilution and vortex it to see if you get the same thing. mean time do you have any ideas on a defoaming agent? suspensions we have used in the past. 100- 200 LD50s in a 10-minute spray. You can try a test run with some Tween 80 and see if that helps. Can I see the numbers and starting conc. etc.???? Thanks, and see you in Annapolis!! the spore/aersol/foaming/clean or dirty glassware problem? Let us know! conc. to reach 100-200 LD50s for the BioPort study. Are you going to repeat this??? Here is the spray factor information that you have been waiting for. have to start with a neb. conc. of approx. 2.9 X10E9 to hit 100-200 LD50s. concentration as compared to the lower dilutions? Here is an animal protocol for submission to the LACUC. Alhydrogel, analysis of antigen product, and desorption from Alhydrogel. you, or is there someone here that can get it to you? vaccines (both the new and the old) from you to start the immunizations? vaccination, and if some of the groups received reduced levels of PA.
from fermentor cultures of a toxinogenic, non-encapsulated strain of B.
P. F. Fellows, et al. 1998. Vaccine 16:1141-1148.
against inhalation anthrax in guinea pigs, rabbits, and rhesus monkeys. 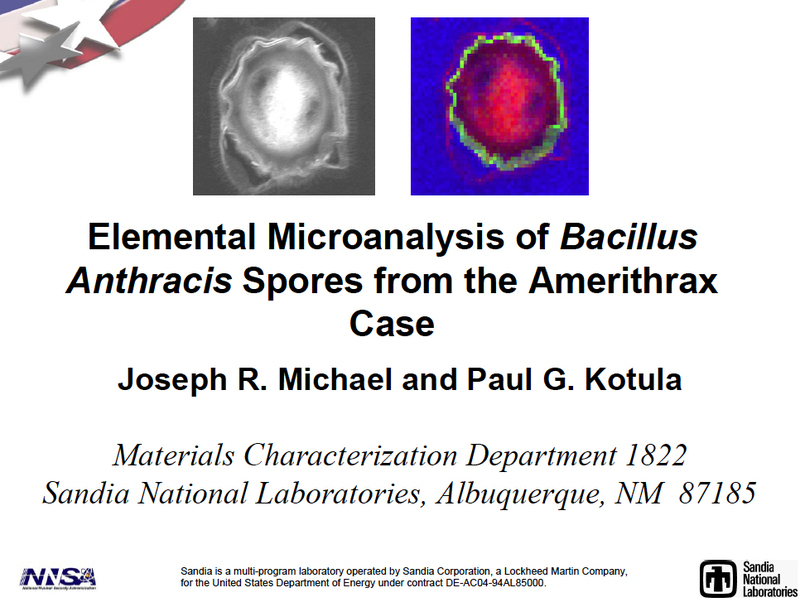 M.
Meeting of the American Society for Microbiology. E-70, p. 278. Bulletin Special Supplement, # 87, p. 130.
a positive control). What can you tell me about the safety of these agents? are, and what other studies have been done that support going into monkeys? let me know what you’ll need, when you’ll need it, and how much you’ll need. anthrax. Good luck on the protocol. is better, and whether CpG’s work. questions, please ask them, either by email or phone. we could. I just don’t.) Rather than ship it, I would rather carry it down to you on gel ice in person. you the first part of next week if needed, or later if desired. I’ll get you extra amounts of each vaccine. you, and come back. I’m quite excited about the experiments. bit extra since there’s some wastage. then let you know. In terms of getting it here, can you ship it on ice? coming this way, we’d be happy to wait or a hand delivery. Let me know, or perhaps we should chat by phone? Sure, When would you like the material? How many doses of each? care, and many thanks again! them to minimize foaming. This is how we handle them, by the way. mix the new suspension (about 1.3 X 10^9 per ml) gently tip or swirl the container. 3) Before spraying, gently tip or swirl the spore suspension before gently pouring into the collison. We shock the dilution that we are going to spray. When you heat shock do you shock the stock or the dilution or both? Thanks! I’ll let you know what happens next week. get at least 2 of 3 readable plates, we go ahead and count the set and average the counts. How many have to be low or high before you reject the whole set? were some good talks there. suspension after you resuspend them. the rPA studies will be done – me maybe, and you if you’d like. I’ll let you know how things go. conference calls, IPT meetings, etc.? Thanks. BLITZER: There — there was at least one terror attack on U.S. Soil that happened after 9/11. I’m referring to the anthrax attacks in New York and in elsewhere. What that a terror attack, do you believe? BLITZER: But whoever was trying to do it was trying to terrorize a lot of people. BLITZER: …for that anthrax attack. GIULIANI: …so you can’t — you can’t describe something as a terrorist attack if it hasn’t been investigated and there’s no — no proof. And the best thinking on the part of the FBI is that it wasn’t involved with Islamic terrorism. But, again, that’s pretty — we’re on pretty shaky grounds there because they’ve never been able to solve that. BLITZER: And you — you don’t have any inside information on who was responsible? GIULIANI: Gee, Wolf, it not only happened, there was — there was anthrax found in the office right next to mine. There was attack on city hall as well as on the major networks and Governor Pataki’s office. I mean, I as directly involved in that. At the time — at the time, I thought it was probably all connected to — to the terrorism that was attacking us. In retrospect, it seems to me, from what I know of it, that it wasn’t. But, again, that’s unresolved and it would be irresponsible to come to a conclusion about it. 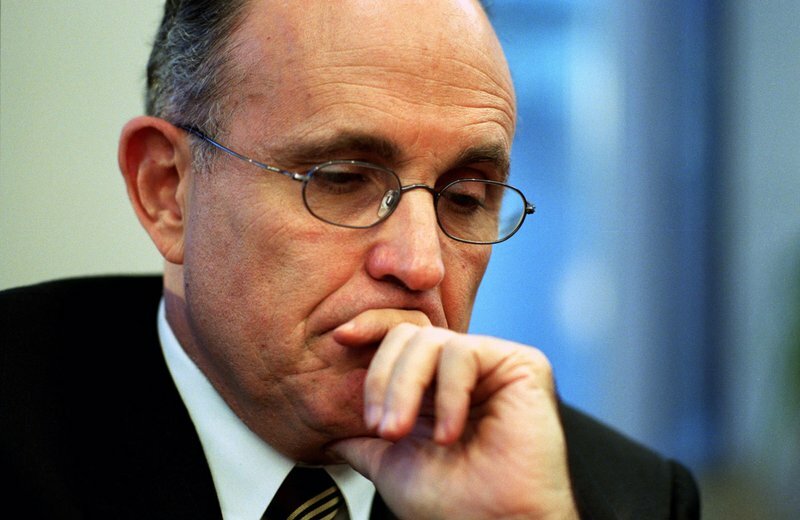 Rudy Giuliani was at one time a very capable prosecutor. He knows when there’s a case and when not. there’s more evidence the FBI hasn’t made public? the FBI has solved the case but are covering up the real perpetrators? the FBI hasn’t (as Rudy suggests) solved the case? “Then a curious thing happens. A second attack is made against the great country, this time with lethal anthrax powder mailed in envelopes. “The very best police force in the land is assigned to track down the person or persons who prepared and mailed the lethal anthrax envelopes. it once had been estimated that 1,000 were known to have access. 16 labs. Perhaps a few more abroad where there no cooperation or where it had been obtained surreptitiously. That was narrowed, depending on whose estimate you rely on, to 100-300. At just a few labs rather than 16+. On this central issue of access, the US DOJ committed the most fundamental misdirection imaginable — with no mention at all of Building 1412 where the virulent Ames was often used and appears even to have been stored the first full year when it just sat unused in an unlocked refrigerator. They used the phrase “sole custody” as if it had practical meaning when applied to an unlocked refrigerator or a package left overnight on a desk for shipping — or that was available any time it was used from contamination. In terms of criminal attribution, the genetics … points away from the fellow who was the “go-to” guy for the strain because he would not want to use a weapon with his name on it. we’ve not heard anything about the failure to associate Dr. Ivins with any copy machine that produced the forensic signature. Hair, fiber, Tin Signature, Iron Signature, alibi… everything points away from Dr. Ivins, not toward him. Had there been compliance with FOIA by USAMRIID, EPA and the University of Michigan and Louisiana State University, an Ivins Theory could have been flushed down the toilet many months ago. When the DOJ gets around to triumphantly explaining that the Silicon Signature was due to a “microencapsulation process,” rather than post-production addition of an additive for the purpose of aiding floatability, will it constitute anything more than admitting to their unproductive obfuscation of the issue by their withholding of the AFIP data? It seems clear beyond any shadow of doubt that the “Ivins did it” theory presented by the FBI simply does not hold water. So who really did commit the worst bio-terrorist attack in the history of the U.S.? Does the FBI have more evidence that it is not making public? Has the FBI in fact solved the case but is covering up the real perpetrators? Has the FBI simply failed, after its largest investigation in history, to solve the case? who is withholding this information? It used to be reasoned that the mailer would be living alone — because otherwise his wife would know. Dr. Ivins’ wife, in a private note to Dr. Ivins, stated that she knew he had nothing to do with it. That is a pretty compelling piece of evidence as to her private thoughts. Especially after the first mailing when the public was sensitive to the matter, the FBI would not have met its burden on the evidence disclosed that Dr. Ivins could have travelled without being observed. In terms of what has NOT yet been disclosed, there likely are contemporaneous emails from those days that both would establish his location at some particular times and would refer to how he was spending his time generally. It thus is worth noting that the most probative evidence, such as contemporaneous emails from the dates they allege processing and mailing and Lab Notebook 4010, are being withheld. Instead the affidavit in support of probable cause for a search referred only to his inability to justify his time in a 2005 interview (or at least that is their characterization). At the same time there was a FOIA for exit/entry times, there was a FOIA for emails. Why are they withholding the emails? They were processed many months ago but are being withheld. The FBI’s unsupported factual assertion of travel therefore is in the context of a refusal to provide the documents that might corroborate or contradict their assertion. If someone cannot back up their claims and refuses to provide documentary support, a logical inference is that the evidence does not support the claim. I think this is a very good observation. If Ivins sent time-stamped emails on the days he supposedly drove to Princeton to mail the letters this immediately destroys the FBI’s theory. There would have to be at least 12 hour windows of zero emails sent in a distinct pattern. There would also have to be 12 hour windows of zero cell phone usage, zero credit card usage etc. I think it’s obvious they DON’T have this – and they know fully well that releasing emails will immediately have internet bloggers all over the emails analyzing them for gaping holes in the FBI’s theory. Michael Green (see below) also pointed out that the FBI failed completely to adequately describe how Ivins made the powder and Green similarly concluded that the reason the never explained it is simple – they couldn’t. It is important not to distract ourselves with the task of resolving exactly what attributes the Senate anthrax spores had — attributes that the FBI and DOJ have deliberately kept secret and muddled through confusing and contradictory press leaks and releases. It is wiser to rely on the obvious inference that if the FBI had a simple, straightforward, true and compelling story to tell about how Ivins could have made such a deadly powder in a few brief spates at night, they would have told it. They did not tell it because they did not have it.